City Generators is undoubtedly a leader in innovative customer service. We go out of our way to keep all the products manufactured and supplied at the highest quality levels, and ensures customers receive exceptional service and follow up services such as maintenance or repairs for their generator. City Generators was established well before the South African power crisis emerged in early 2008. Our purpose is to supply, maintain, repair and implement quality alternative power solutions (generators) for households, offices and industrial sites in Gauteng. We offer an excellent range of diesel generator sets and accessories. We have massive savings on all our generator rentals. You will not find a better deal in Gauteng. That is our gaurantee to you. Daily, Weekly and monthly rentals are availible. This is for all our 10Kva to 200Kva 3phase units as well as our Mobile Units. Apart from the wide range of quality generators we have made sure that we offer clients maintenance and repair services to ensure every customer enjoys real value for money when investing in our generators. Weekly / Monthly reports can be supplied which will reflect the running hours of every generator, if needed. 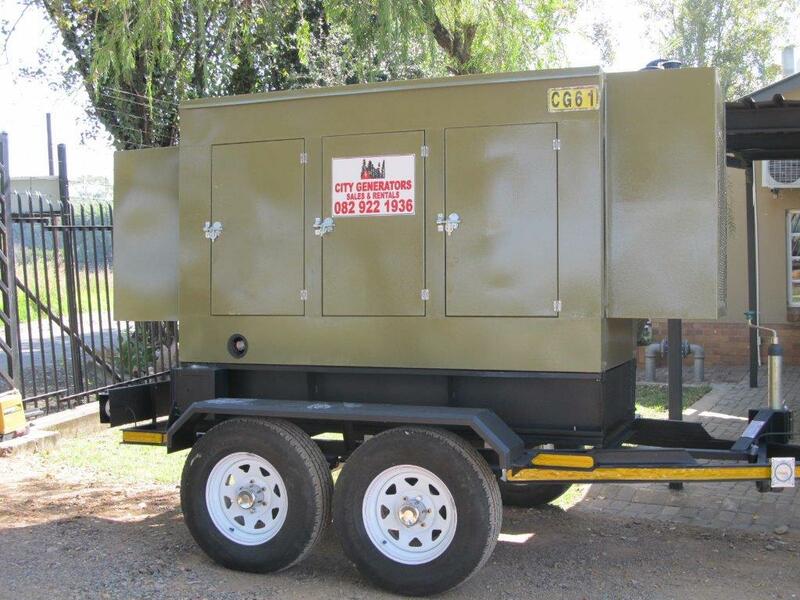 Maintenance contracts are available for generators in Gauteng with a range of different options. Spares/Accessories: cables, distribution boards (DB boards), dummy load testing and delivery. City Generators is undoubtedly a leader in innovative customer service. We go out of our way to keep all the products manufactured and supplied at the highest quality levels, and ensures customers receive exceptional service and follow up services such as maintenance or repairs for their generator.